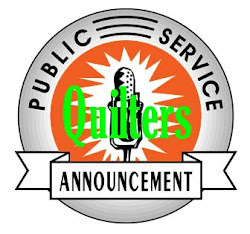 Crayon Box Quilt Studio: Quilter's Public Service Announcement: Are you a No Reply Blogger? 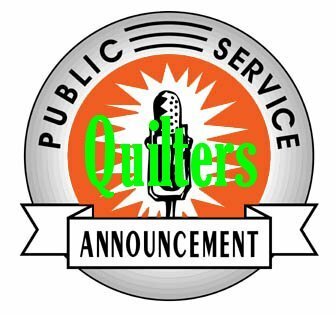 Quilter's Public Service Announcement: Are you a No Reply Blogger? 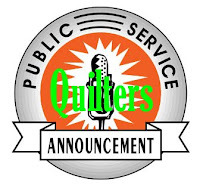 This is a Quilter's Public Service Announcement! Are you a No Reply Blogger! I've had a bunch of comments to my Wicked Blog Hop post from folks that are No Reply Bloggers and considering the fact that a blogging friend herself recently didn't realize that she too was in this same predicament, I thought I'd list here those of you that are NRBs so that you can correct it. You wouldn't want to miss out on the opportunity to win giveaways. To solve this problem, on your Blogger Dashboard, click on the arrow next to your name in the upper right of the screen. Now you won't have to worry about ever missing out on notification that you won a giveaway. From someone that has been lucky to win a few, it is great fun. Thanks for posting this. My blog was on Wednesday, Kwilty pPleasures and I had a couple no reliefs also. This is too fun to miss out on give aways. Oh my cod...I had no clue, and still not certain I have it correct... TIA! That is what I figured...that those of you with this issue didn't know...and no it isn't fixed yet. You are still coming through as a no reply blogger. Well, I'm hoping that I followed the directions correctly & I have the issue fixed. Thank you for the help. I didn't know either and I'm also not sure I have it correct. Ugh, technology! Sorry Janice but no it isn't correct yet. You are still coming through as a NPR. Thank you! I thought I had it wrong but wasn't sure. Last thing I tried ended up filling my email with every comment from every blog I visit. Thanks Again! 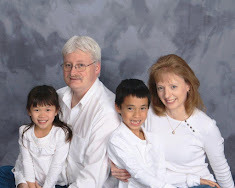 Michelle, I am linking this post to my Sunday Snippet...hope to get the work out to more of those NO REPLY bloggers. Thanks for the great instructions! OK, I am the Janice Newman who was having a problem being an NPR. I hope I finally did it right this time. Thanks for helping me! I hope it works now. It took a long time to figure out how to make mine work. I ended up turning off Google+ because apparently you show up as a no-reply blogger, no matter what settings you use if the blog you are writing on is not a Google+ follower of YOU! Stinks.